LWS was first established over seven years ago. We identified a need in this industry and set forth on a mission to help companies and owners enhance and manage their marketing needs. We started with a very small set of tools to help landlords and property owners manage their basic property information, descriptions, suites and photos that controlled their new websites built by our very small team at the time. This was the genesis of the LIFT System; the start of the platform that LIFT has become. Over the years, we've learned many things, encountered many different problems and identified many solutions to help our customers run their businesses more effectively. We've always tried to create flexible solutions, taking feedback from our customers, using our own expertise, gathering trends from all over the continent from a variety of different industries. Today, we have an ever growing team of amazing individuals that are focused on innovating and supporting our products and services. 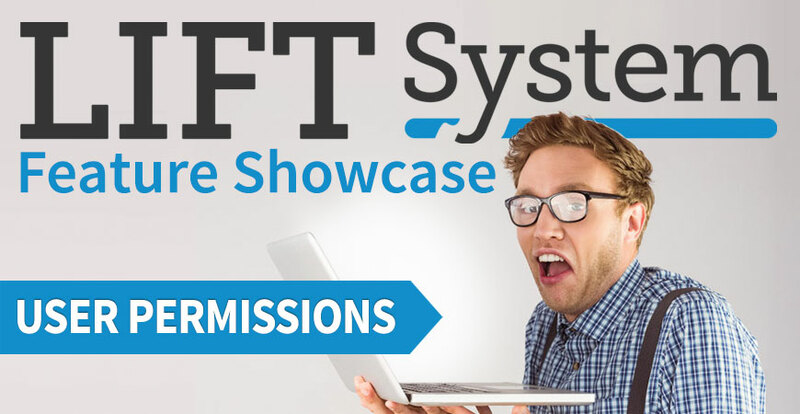 This post is the beginning of a new blog series dedicated to showing off some of our favourite features & solutions we've built, as well as highlight some of the lesser-known abilities of the LIFT System and related products. We hope that you'll learn more about the tools we have and find new tools useful to you. Shall we? No sense in making you wait for the first post when we have lots to share! I think the right place to start for this series is to show you how you can manage your team's access to the LIFT System. We have two main types of people that can access the LIFT System. Administrators - accounts which can see every module and can do anything within the platform. You should only need one or up to a few people to have this kind of full access to the system. Users - people with general access or specific access. Access is controlled by the administrators. These can be users with almost full access to the system or with very specific modules. That access is controlled by user groups. User Groups allow you to set the same permissions for a group of users, controlling the specific modules those users have access to. You can create as many User Groups has you need to organize your team's access. Sometimes you want to provide only read-only access to certain features so people can view content but not be able to edit it. Our user permissions allow you to set specific permissions for each module for everyone belonging to a user group. You'll notice in that screenshot above that Residential and Commercial Properties are listed as separate modules. This allows you to control the permissions for Residential and Commercial properties separately. Everywhere that properties exist, users will only see the properties that they have access to. This includes RentSync panel and Insights reports. If you have a need to manage your property types separately we recommend creating two user groups. One called Residential Managers and one called Commercial Managers. At this time, users can only belong to one User Group, meaning if your agents need access to both Resident and Commercial, you will need a third user group. If you need help with anything, please contact our support team by calling 905-397-5088 or by logging into the LIFT System to use our online support. We'll be happy to provide more information or help you setup your user access. The next session in this series will focus on our advanced user permission premium module, which allows you to manage permissions on an individual property basis.